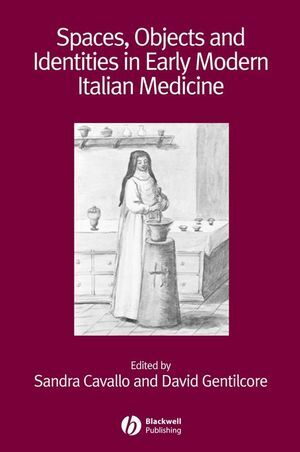 This collection, by an international team of scholars, presents exciting research currently being undertaken on early modern Italy which questions the conventional boundaries of medical history. Sandra Cavallo is Reader in Early Modern History at Royal Holloway, University of London. David Gentilcore is Reader in History at the University of Leicester. Introduction (Sandra Cavallo, Royal Holloway, University of London and David Gentilcore, University of Leicester). 1. Miscarriages of Apothecary Justice: Un-separate Spaces of Work and Family in Early Modern Rome (Elizabeth S. Cohen, York University). 2. Pharmacies as Centres of Communication in Early Modern Venice (Filippo de Vivo, Birkbeck, University of London). 3. Women, Wax and Anatomy in the ‘Century of Things’ (Lucia Dacome, Centre Alexandre Koyré (CNRS) and University of Toronto). 4. Medical Competence, Anatomy and the Polity in Seventeenth-Century Rome (Silvia De Renzi, The Open University). 5. Malpighi and the Holy Body: Medical Experts and Miraculous Evidence in Seventeenth-Century Italy (Gianna Pomata, University of Bologna).